Exactly one week after officially announcing the Xperia X Compact, Sony today started selling the handset. However, at this moment, it looks like the phone can be bought only in the UK, but we're guessing it won't be long before customers in other markets will be able to grab one, too. If you're in the UK, you can purchase a Sony Xperia X Compact from Carphone Warehouse, O2, EE, giffgaff, and Mobiles.co.uk. Unlocked, the phone costs £359.99 (that's around $478 in US dollars), but it can also be had for as low as £0 on select plans. Right now, the Xperia X Compact runs Android 6.0 Marshmallow, but it will be updated to Android 7.0 Nougat at some point. Unlike the Xperia Z5 Compact from last year, the X Compact is not water-resistant, and isn't powered by a high-end processor (though its hexa-core Snapdragon 650 is not bad by any means). The phone sports a 4.6-inch display with 720 x 1280 pixels, further coming with a new 23 MP rear camera, 3 GB of RAM, and 32 GB of expandable storage space. You can find out much more about the device by checking out our Sony Xperia X Compact hands-on. In case you're wondering, Sony's other brand new smartphone, the Xperia XZ, won't be released before October. Both the Xperia X Compact and Xperia XZ will be launched in the US (unlocked), but there is no word on exactly when this is supposed to happen. The price doesn't seem right. Z5 compact is a better deal rn. What is Sony doing? They finally match the 3gb ram to the regular size one but then decide to gimp the processor? Sony just doesn't make any sense sometimes. How do you know people doesn't care about its processor? Fair point, the idea is so tempting, but is it worth it to pay more to shortchange myself...all because of size? 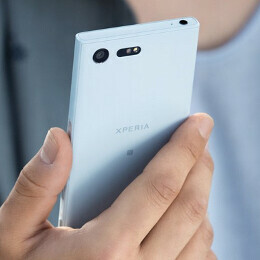 I love sony, using my z3c right now and looking to upgrade to another compact, but I can't understand why not make the screen a little bigger, maybe a 4.7 or 4.8, or just make the dimension of the phone a bit smaller like they did from z1c to z3c. It makes sense to upgrade from z1c to z3c, but seems no point to upgrade to z5c or x compact. Hope they up the screen size and trim down the bezel just a little... oh and they really need to work on their pricing, $400 will be a good price for the compact.